Cage The Elephant Photos - Chicago, Ill.
Cage The Elephant helped Chicago chime in 2012 with over 4,000 fans who packed into the Aragon Ballroom to celebrate New Year’s Eve. The “Ain’t No Rest For the Wicked” rockers were joined by fellow Bowling Green bands Sleeper Agent and Morning Teleportation along with Chicago natives Company of Thieves. As balloons fell from the ceiling members from all of the bands that played joined on stage for a champagne toast before Cage the Elephant finished off their energetic set. 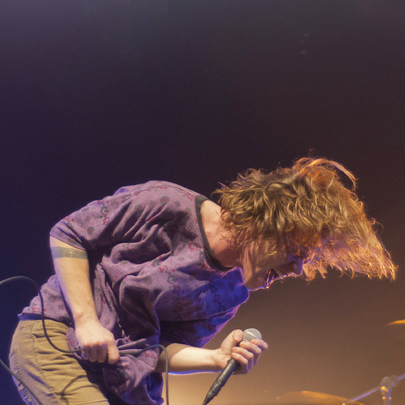 Check out Allison Ziemba’s photos from Cage The Elephant’s New Year’s Eve show below.